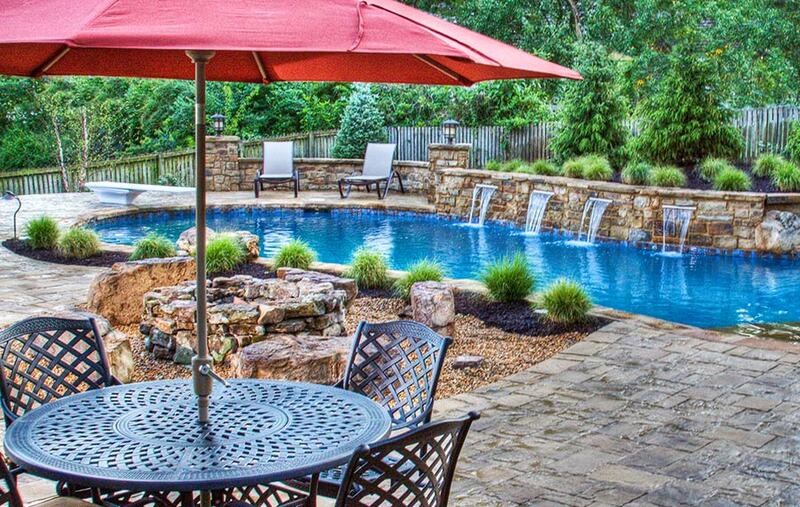 This exquisite property in Leawood, Kansas was inspired by the successful design of the neighbor’s property. This space began as a problematic backyard that had been ruined by pets and drainage issues. 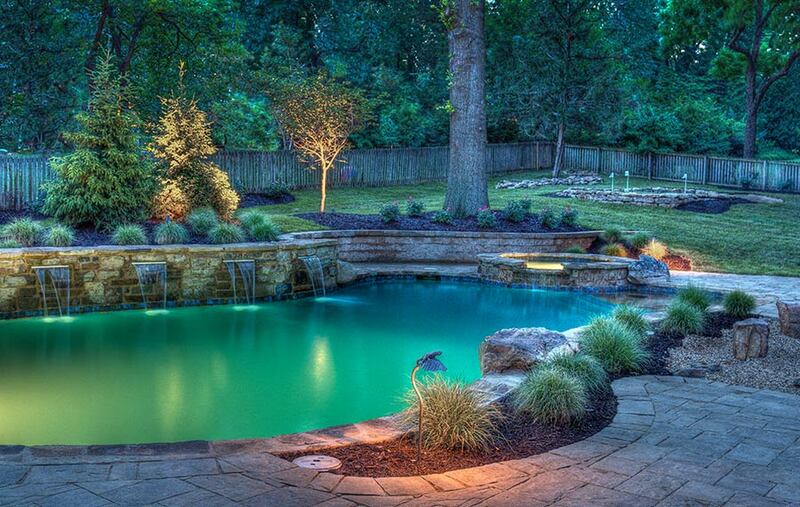 It was transformed to become the runner up in the 2011 Kansas City Home & Garden’s Best Pool Design of the Year. The first step in this backyard transformation was to deal with the drainage issues. The property had a big slope that caused water to run toward the house. A large drainage system was installed under the patio to carry rainwater away. Also, terracing, elevation changes, walls and river rock were utilized to further direct water flow off the property. 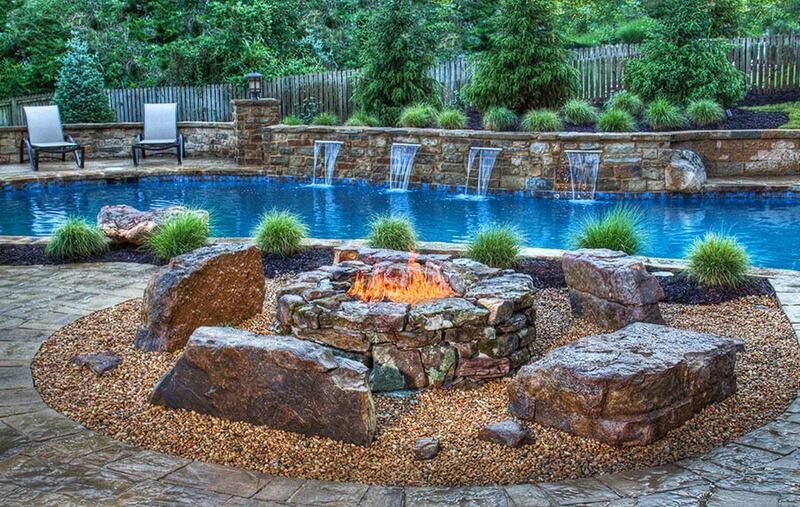 Even the fire pit area incorporates a drainage system in its design. 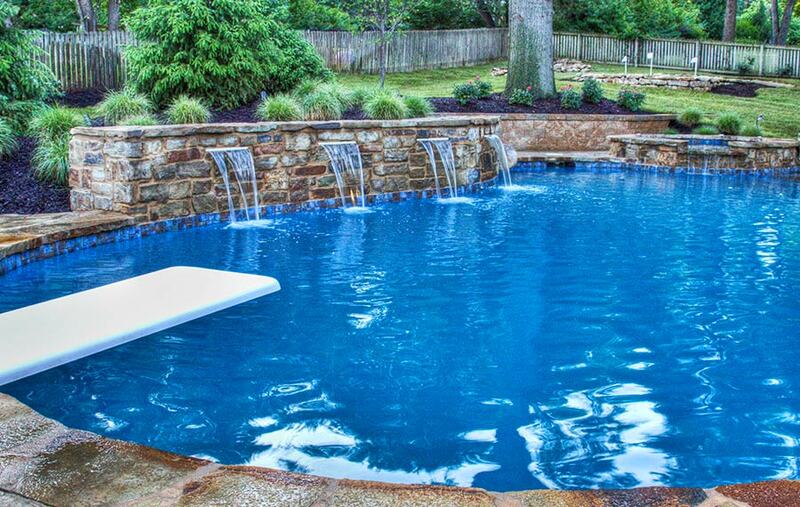 With the drainage problems resolved, the owners could focus on their dream for a backyard resort. 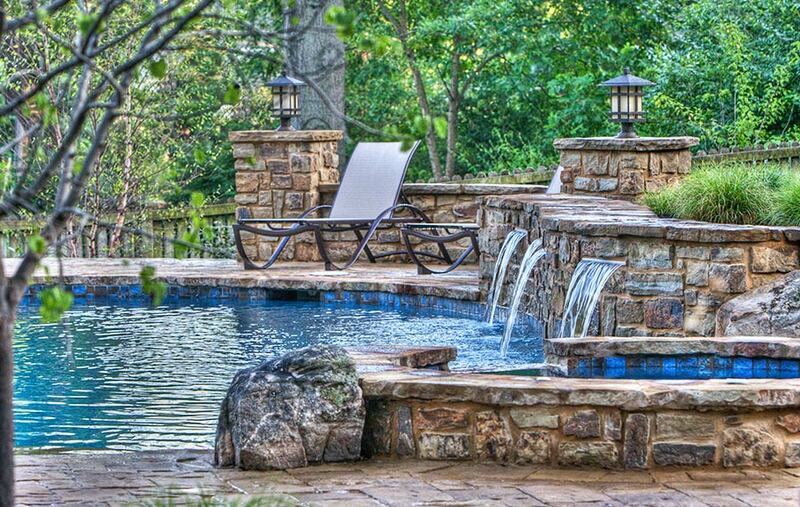 Natural flagstone adorning the pool deck, carries into the bench area and underwater sun ledge. 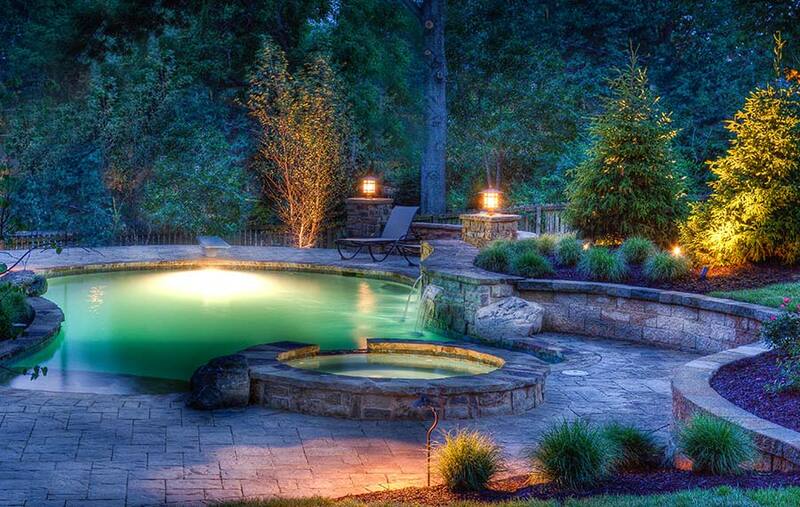 The spa spillover into the pool and landscape lighting create a luxurious resort feel with the sound of running water. And the golf putting green is truly reminiscent of a vacation destination. 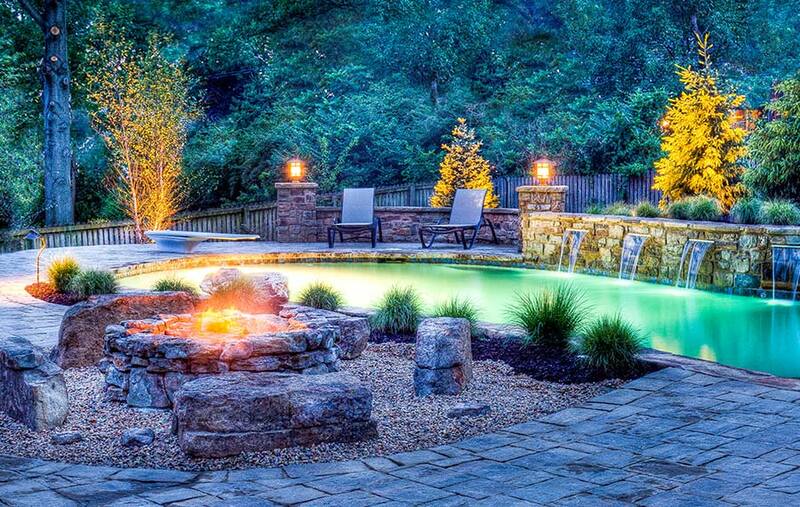 The outdoor kitchen, cabana and bathroom make this a true backyard resort.